There is a growing trend among smartphones for larger screen sizes, including one upcoming Asus model with a 7" screen. In fact, so many phablets are moving into the tablet space that it should probably come as no surprise that a tablet maker would conclude that the inverse was also a good move. 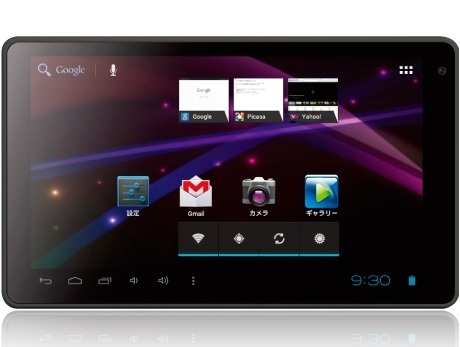 A Japanese tablet maker by the name of SilverWin has just unveiled their latest budget tablet, the Poketab6. It's a rather disappointing device with a 6" screen and specs comparable to 7" budget tablets that were released at about this time past year. The Pocketab6 runs Android 4.0 on a 1.2GHz single-core CPU. Screen resolution is a familiar and disappointing 800x480, and this tablet also has 512MB RAM, wifi, a VGA webcam, 4GB of Flash storage, a microSD card slot, speaker, and a microphone. This tablet weighs 238g, and measures 160mm by 95mm by 11mm. Those are rather disappointing specs, IMO. Don't get me wrong, I'd like to try a 6" tablet if for no other reason than it is different from a 7" tablet. But I am expecting the $100 tablets released over the next few months to have a higher resolution screen and a dual-core CPU, so this tablet falls far short of my expectations. 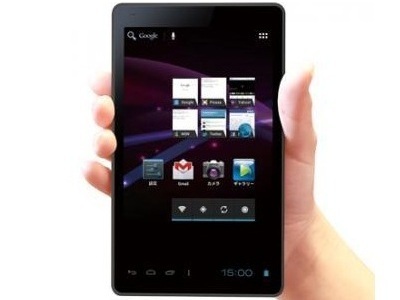 One of the Japanese bogs that covered this tablet described it as a first for the Japanese market. If that is true then I would recommend waiting for the second or third. The novelty of a 6" screen is not worth the poor specs. Retail is going to cost 8,780 yen (~ $92USD) and it appears to already be up for pre-order. S***: Google Reader to Shut Down on 1 July – Can Someone Recommend a Replacement? This site presumes ( based on model number and spec ) this product is just a rebranding of GADMEI’s E6. It probably is the same tablet. Thanks for the link!